Here is some information to help you decide!!! Promote collector interest in Weatherby arms, which were the trendsetters for firearms as we know them today. Provide a forum for the interchange of information on collectible Weatherby arms among members. Make available to members the results of research into the history of individual Weatherby arms. Publish periodical newsletters containing information of interest to Weatherby collectors, including new developments. Conduct an annual Weatherby Collectors Association banquet/exhibit. 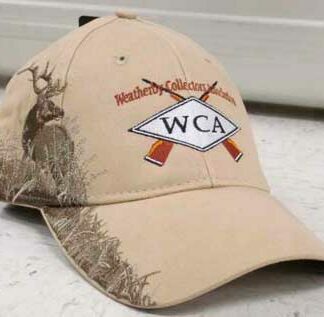 Opportunities to purchase "Members Only" Weatherby items, not available to the public. These can range from knives to memorabilia to special rifles and shotguns, created especially for the WCA or available only through the WCA. Participation in the nationally recognized WCA Youth Program. Young people that complete the WCA youth Program are awarded a new Weatherby rifle! 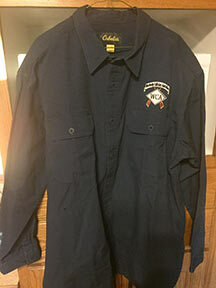 Participation in WCA raffles, and in the auction at the annual WCA banquet. (You will find items there that may not be available anywhere else)! WCA sponsored field outings, including hunts, target shooting, and clay pigeon shoots. (Normally scheduled to coincide with the annual banquet dates). Free research of your favorite Weatherby items and firearms. Free Swap and Shop advertising in the newsletter. We work very hard to provide a friendly, informative, useful association for our members. A close and supportive relationship with Weatherby, Inc. assures that we have the best, most up-to-date and accurate information available to our membership.